Payment by Credit Card will incur a 1% surcharge. EFT payments will not incur a surcharge. VALID AT "Woolworths, Safeway, Big W, Power House, Thomas Dux Grocers, participating Caltex Woolworths/Safeway co-branded outlets, Woolworths Liquor, Safeway Liquor, BWS and Dan Murphys." Save 5% off when you purchase online. Valid at all Coles Supermarkets, Coles Central and Pick 'n' Pay stores. This card cannot be redeemed at COLES ONLINE or COLES EXPRESS. EXCLUDES FUEL. Save 8% off when you purchase online. Valid in store and online at davidjones.com.au. Gift Cards are for your own personal use. Maximum per order $1,000 with a monthly maximum of $1,000 and yearly limit of $5,000. Treat Gift Card like cash and, if lost, cannot be replaced or cancelled. 1% surcharge applies to all credit card transactions (MasterCard and Visa). Direct Deposit payments incur no surcharge. The David Jones eGift Card offers you a world of choice, with access to the brands you know and love across fashion, beauty, home, electrical and fine food. Shopping with your David Jones eGift Card is even easier than ever before! Save 3% off when you purchase online. Valid at Flight Centre stores within Australia. Not redeemable online. Give the gift of travel with a Flight Centre eGift Card - perfect for any special occasion! eGift Cards can be used towards any aspect of your holiday, including flights, accommodation, tours, car hire, travel insurance, and more. Save 5% off when you purchase online. Valid at all The Good Guys stores and online. Gift Cards are for your own personal use. Maximum per order $1,000 with a monthly maximum of $5,000. Treat Gift Card like cash and, if lost, cannot be replaced or cancelled. Treat Gift Card like cash and, if lost, cannot be replaced or cancelled. 1% surcharge applies to all credit card transactions (MasterCard and Visa). Direct Deposit payments incur no surcharge. The Good Guys have over 60 years of experience in the electrical appliance industry. Considered by many as the market leader in a range of product categories, The Good Guys have affiliations with all the major global brands. Save 5% off when you purchase online. Valid at all Myer outlets and online. Choose Australia's favourite gift card and use it at any Myer store nationwide on a range of products from the latest in fashion, the newest season trends, to latest gadgets, homewares, furniture and much more. 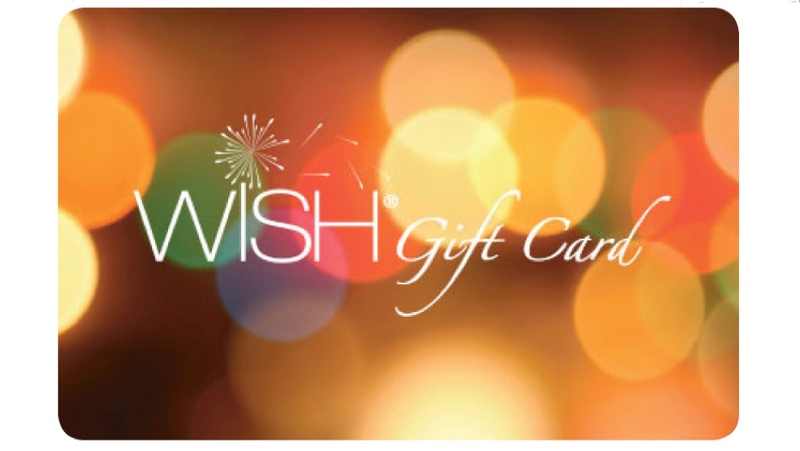 You won't go wrong by choosing a gift card from Australia's largest retail store. Save 5% off when you purchase online. Valid at www.webjet.com.au. As Australia and New Zealand's leading online travel agency, Webjet leads the way in online travel tools and technology. Webjet enables customers to compare, combine and book the best domestic and international travel flight deals, hotel accommodation, hotel accommodation, holiday package deals, travel insurance and car hire worldwide. Save 10% off when you purchase online. Valid at Priceline and Priceline Pharmacy stores. Gift Cards are for your own personal use. Maximum per order $1,000 with a monthly maximum of $1,000. Treat Gift Card like cash and, if lost, cannot be replaced or cancelled. Treat Gift Card like cash and, if lost, cannot be replaced or cancelled. 1% surcharge applies to all credit card transactions (MasterCard and Visa). Direct Deposit payments incur no surcharge. Save 5% off when you purchase online. Valid at all JB Hi-Fi stores in Australia and online. Save 5% off when you purchase online. Valid at all Harvey Norman, Domayne and Joyce Mayne outlets and online. A Harvey Norman Gift Card is ideal for all occasions. Take the worry out of finding the right gift - and let them choose their perfect gift from the wide range of products available at Harvey Norman! Save 5% off when you purchase online. Valid at participating Caltex Service Stations. Cards are restricted to fuel purchaes only. Gift Cards are for your own personal use and available in denominations of even 100s. Maximum per order $1,000 with a monthly maximum of $5,000. Treat eGift Card like cash and, if lost, cannot be replaced or cancelled. 1% surcharge applies to all credit card transactions (MasterCard and Visa). Direct Deposit payments incur no surcharge. Save 7% off when you purchase online. Valid at all endota day spas in Australia for any treatment or product. The Freedom Gift Card from endota spa. The perfect gift for someone who likes to tailor their spa experience in their own unique way. Choose your very own endota spa experience or purchase product at any endota spa across Australia. We have almost 100 spa location Australia wide. Please contact your local endota day spa to book in your treatment. Save 5% off when you purchase online. Valid at all Kmart outlets. Excludes Kmart Tyre and Auto outlets. Save 2% off when you purchase online. Valid online or via the Guest Contact Centre. Surprise a hard-to-buy-for someone, reward your staff, or pass on thanks to a deserving client with a Virgin Australia gift voucher. Save 7.5% off when you purchase online. Valid at all rebel stores. Gift Cards are for your own personal use. Maximum per order $1,000 with a monthly maximum of $5,000. Treat Gift Card like cash and, if lost, cannot be replaced or cancelled. 1% surcharge applies to all credit card transactions (MasterCard & Visa). Direct Deposit payments incur no surcharge. Save 7.5% off when you purchase online. Valid at all Supercheap Auto stores. Gift Cards are for your own personal use. Maximum per order $1,000 with a monthly maximum of $5,000. Treat Gift Card like cash and, if lost, cannot be replaced or cancelled. 1% surcharge applies to all credit card transactions (MasterCard & Visa). Direct Deposit payments incur no surcharge. Gift cards do not expire. Save 7.5% off when you purchase online. Valid at all BCF stores. Save 5% off when you purchase online. Valid at all Target outlets and online. Save 10% off when you purchase online. Valid at www.adrenaline.com.au. Gift Cards are for your own personal use. Maximum per order $1,000 with a monthly maximum of $5,000. Treat Gift Card like cash and, if lost, cannot be replaced or cancelled. 1% surcharge applies to all credit card transactions (MasterCard and Visa). Direct Deposit payments incur no surcharge. Save 7% off when you purchase online. Valid at all Boost Juice outlets. Save 8% off when you purchase online. Valid at all Dymocks outlets. Save 5% off when you purchase online. Valid at jetstar.com.au to book flights or flights plus accommodation/activities (Jetstar Australia site only). Save 7% off when you purchase online or instore. This card can be redeemed for merchandise and/or services only at Kikki.k boutiques in the country of issue and online at www.kikki-k.com. A defaced, mutilated, altered, lost or stolen card cannot be replaced, refunded or redeemed. This card is not redeemable for cash and cannot be reloaded. Valid for 3 years from date of issue. Validity date cannot be extended. Any balance remaining on the card after the date of expiry cannot be refunded or credited. Save 2.5% off when you redeem via the Uber or Uber Eats app. By using this gift card, you accept the following terms and conditions: This gift card will expire three years from the date of activation. Cards issued prior to the 31st March 2018 will expire 1 year after date of issue. Upon expiration, unused funds will not be refunded or credited. Save 10% off when you purchase online. Valid at all Amart Furniture outlets. Save 8% off when you purchase online. Valid at all City Beach outlets and online. Save 7% off when you purchase online. Valid at all Betta Home Living outlets. Save 5% off when you purchase online. Valid on the iTunes Store, App Store and the Mac App Store. Perfect for anyone who enjoys music, movies, games, apps and more. The cards can be redeemed on the iTunes Store, App Store and the Mac App Store in just a few clicks. Recipients can access their content on a Mac or PC, iPad, iPhone, iPod and Apple TV. Save 7.5% off when you purchase online. Valid at all Kathmandu outlets. Kathmandu are leading specialists in designing and providing high quality clothing and equipment for travel, discovery and adventure. Save 7% off when you purchase online. Valid at all Sephora Stores outlets. Sephora is a French chain of cosmetics stores founded in 1969. Featuring nearly 300 brands, along with its own private label, Sephora offers beauty products including makeup, skincare, body, fragrance, nail color, and haircare. Save 7.5% off when you purchase online. Valid at all Freedom outlets. Save 8% off when you purchase online. Valid at all EB Games outlets.